Located at 740 Valencia St. (between 18th and 19th streets) in the Mission, the chocolate shop is the most popular in San Francisco, boasting 4.5 stars out of 1,253 reviews on Yelp. Expect to see all the brand's classic confections on offer, in addition to an extensive soda-fountain menu chock full of sweet treats, like warm brownie sundaes, shakes, floats, banana splits, hot chocolate and more. )You can also learn about the chocolate-making process, check out historical chocolate-making equipment on display and browse the gift shop, full of limited-edition chocolates. 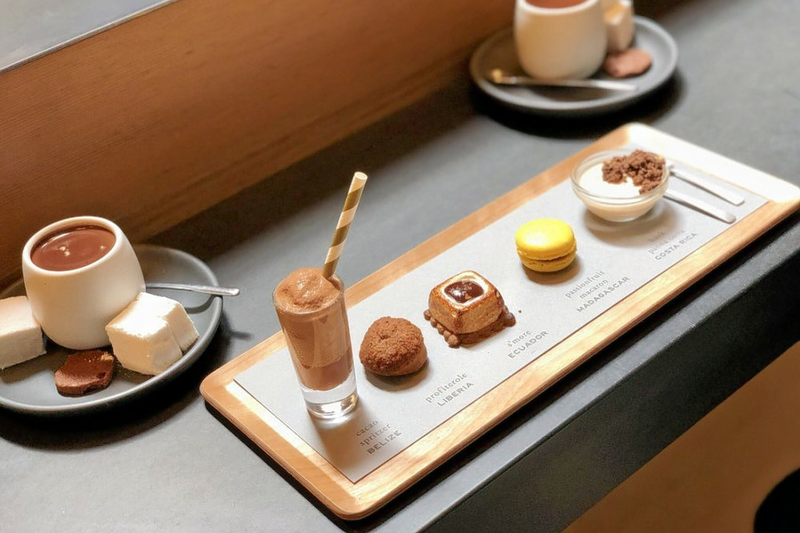 North Beach's XOX Truffles , located at 754 Columbus Ave. (between Scotland and Greenwich streets), is another top choice, with Yelpers giving the chocolatier and cafe 4.5 stars out of 598 reviews. Look for flavors like Recchiuti's signature burnt caramel with 70 percent dark chocolate ganache; spring jasmine tea; lavender vanilla; tarragon grapefruit and more.